Scholars of Eastern religions recognize the Third Eye as having a long history in India, China, and Asia, where Hinduism, Buddhism and Taoism hold sway. Strangely, the Third Eye is ignored by archaeologists of New World cultures, despite extensive evidence of Third Eye symbolism in ancient American artwork. 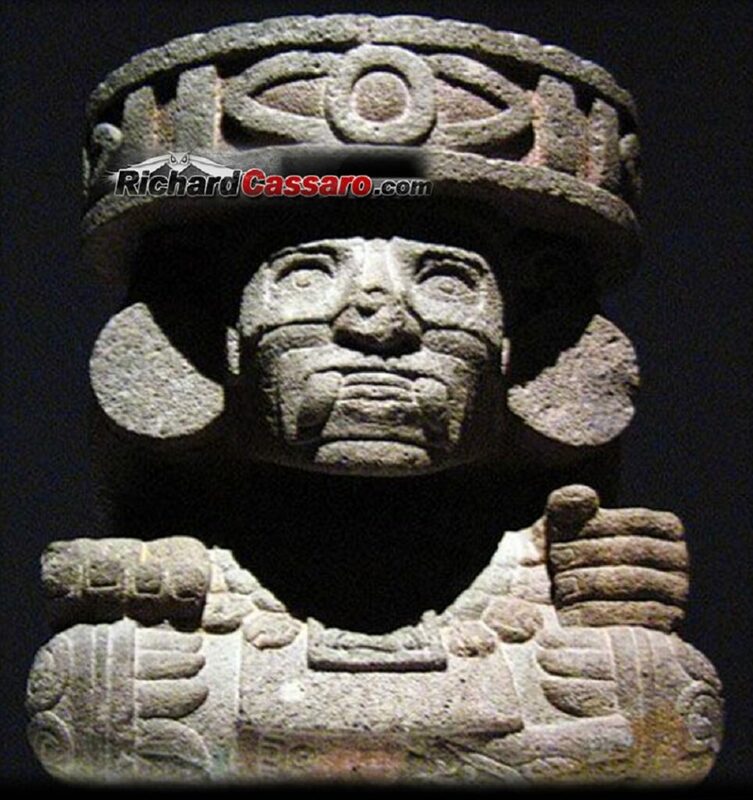 Are the following Third Eye images from the New World (that author Richard Cassaro has researched and collected during the past two decades) the key to unlocking the religions of the Maya, Olmec, Aztec, Inca, pre-Inca, and other ancient American cultures? The Hermetic tradition teaches that during a long-ago Golden Age, our ancestors had a “Third Eye” in the center of their foreheads. As humans evolved, this Third Eye atrophied, becoming the modern “pineal gland,” located precisely at the geometric center of the human brain. Today the Third Eye organ no longer works in our daily lives and must be intentionally “awakened.” This awakening can be achieved through the ancient practice of “Yoga,” a system of holistic health traced to the Indian sub-continent. A specific type of yoga called “Kundalini Yoga,” virtually unknown in the West, is particularly structured to help seekers awaken the Third Eye and find the “higher Self” or “soul within” (called “Atman” in India). Kundalini is an ancient Sanskrit term denoting the “illumination” or “enlightenment” one experiences during the discovery of the soul. Though mystics and adepts speak of the mysterious powers the Third Eye endows us with (i.e., higher consciousness, greater perception, clairvoyance, expanded capacity for self-healing), on a simpler level the Third Eye denotes spiritual insight, providing us with a vision of our inner soul or higher Self, our true eternal being. Third Eye symbolism in the Eastern Hemisphere, known to scholars. 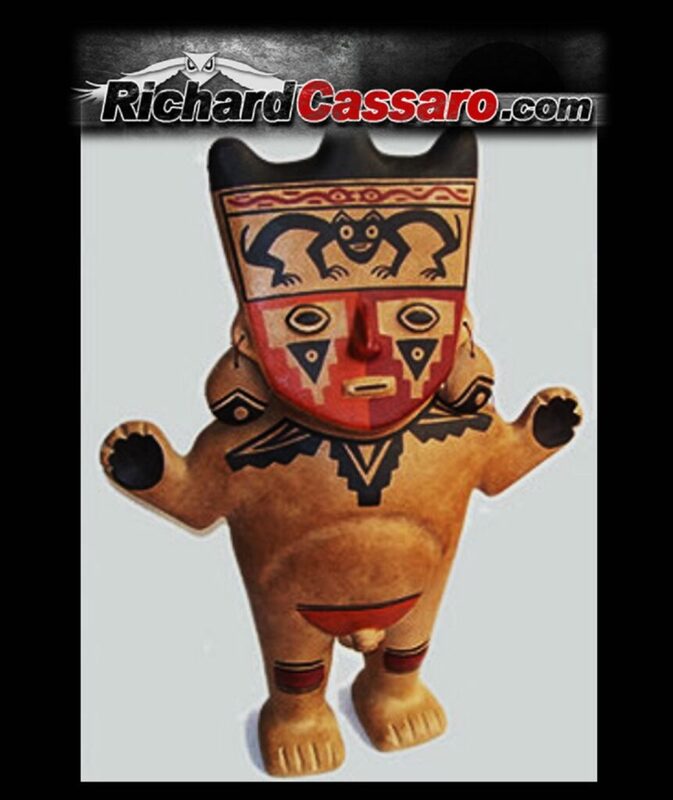 Richard Cassaro, author of Written in Stone (2011), has spent three decades traveling and studying ancient cultures. During this time, he discovered a mass of convincing graphic evidence that the same symbolic Third Eye “forehead dot” present in Hinduism, Buddhism and Taoism is also abundant in the archaeology of ancient New World civilizations. Cassaro found this Third Eye symbolism among cultures that evolved and flourished in present-day Mexico, Peru, Columbia, Panama and even the United States (i.e., the Olmec, Toltec, Maya, Zapotec, Aztec, Inca, pre-Inca, and Mississippian cultures, among others). These ceremonial knives called Tumis show human beings crowned with a semi-circular “solar halo,” which portrays them as being illuminated by the rising sun around their heads. Left: The entire head is inundated with “solar” (read “spiritual”) light. Right: The same solar light appears; here there is even a circled dot in place of the Third Eye. Interestingly, the Incas understood the doctrine of duality—the ida and pingala of Kundalini Yoga—believing a totality is comprised of two opposing and contrasting forces locked in equilibrium. Like the ancient Hindus, the Incas understood the sun (“hanan”) was spiritual and masculine while the moon (“hurin”) was material and feminine. More importantly, the Incas knew that it wasn’t just “duality” that was important; it was the “union” of this duality…the “joining” of these hanan/hurin opposites… that enabled the magic of “balance” and “transcendence” to take place. Three examples of an owl´s face in place of the Third Eye, from the ancient Moche (Mochica) culture Peru. of the Third Eye) of the Aztec fire god, Huehueteotl. 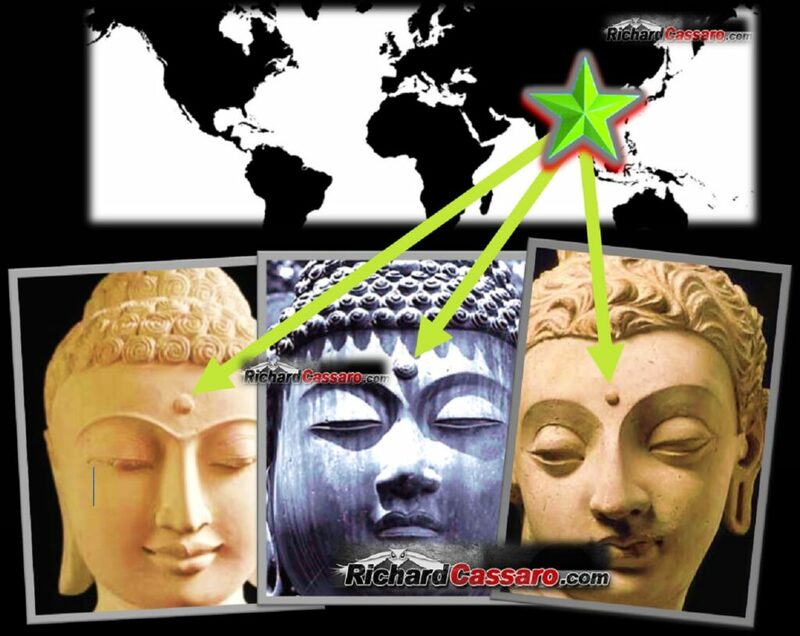 You can learn more on Richard Cassaro´s “Third Eye In The Ancient Americas” archaeological discovery by reading his best-selling book, Written In Stone, where he shows how these ancient American Third Eye images once formed part of a lost “Universal Religion” of the Third Eye in Antiquity.